You know how you get those little reminders every now and then that the years are going by too fast? Maybe it’s bumping into an old classmate from high school. Or it’s coming across a photo of your kids when they were little. Well, I recently had one of those reminders pop up. It made me realize how many years have passed since I began specializing in the sale of condo hotels – a lot! Back in 2004, Reunion Resort was built in Kissimmee, Florida. It was one of the first condo hotels in the Orlando area. An upscale community, it had 360 condos and villas surrounded by 2,300 acres of lush landscaping, a nature preserve and three signature golf courses. 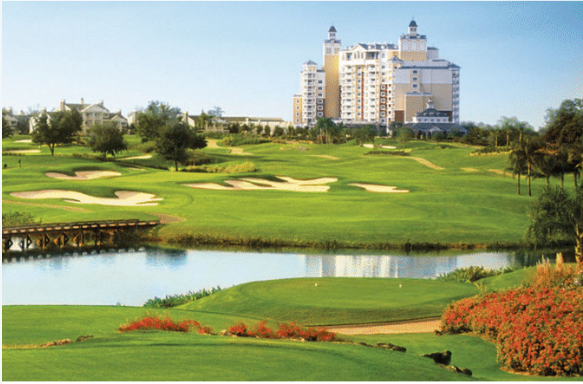 Reunion Resort is a golfer’s paradise. Reunion was, and is, an exceptional development. We featured the resort in a Property Alert back when it first became available, and I was sorry when it sold out, as I continued to have clients request it for years. Now, after 15 years (gulp! ), I finally get to feature it again because there’s an exciting, new addition to Reunion Resort. Read on for details. Spectrum+ will feature contemporary buildings with one- and two-story villas. 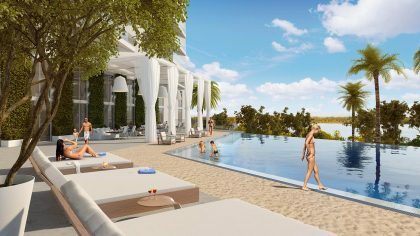 Spectrum+ will be the newest addition to Reunion Resort. 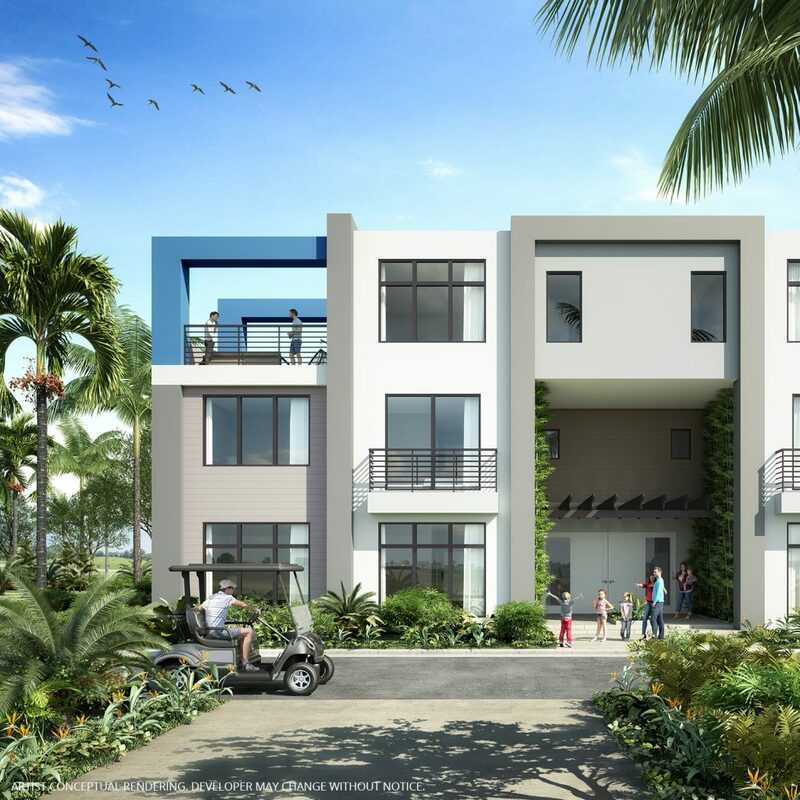 It will encompass 296 luxury villa residences, 54 holes of championship golf and a five-acre waterpark, all just minutes from the magic of Disney World. Villa owners will have the option of placing their home in the rental program for revenue. You can live in your villa year-round, if you’d like. Spectrum+ has no living restrictions. Alternatively, you can place your villa in the professionally managed onsite rental program when you’re not using it and receive rent revenue. Spectrum+ owners and guests will have access to all of Reunion Resort’s amenities. 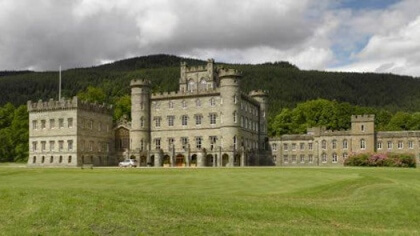 The accommodations will consist of 74 buildings spread out over 48 acres. Each building will have four units: two on the ground floor and two two-story units on the second and third floors. 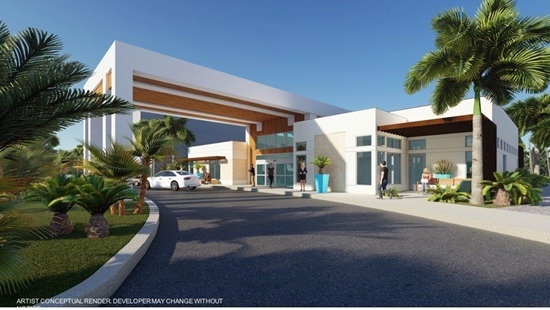 The Spectrum+ clubhouse will have a fitness center, grab-and-go market and more. Reunion Resort is the only place in the U.S. where you’ll find signature courses by three golf legends: Tom Watson, Jack Nicklaus and Arnold Palmer. Each course has its own unique terrain and design. Reunion is one of only six resorts to receive Golf Digest’s “2018 Best Golf Resorts in Florida” designation. Each villa includes a spacious outdoor patio. 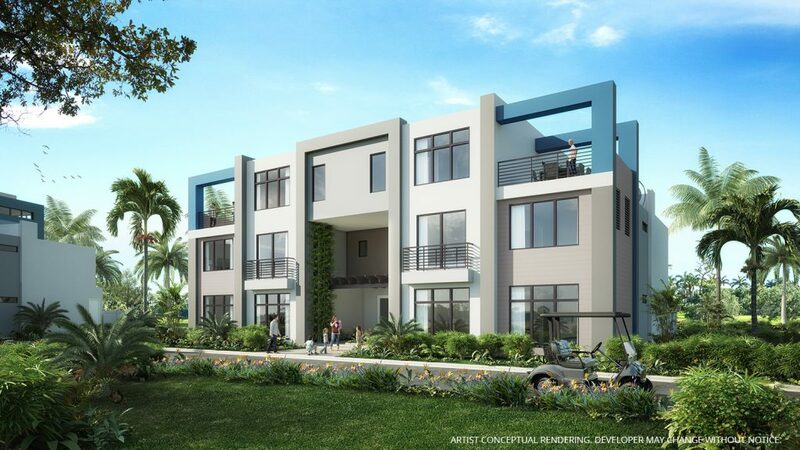 The Spectrum+ villas are incredibly spacious, ranging from 1,491 sq. ft. to 2,567 sq. 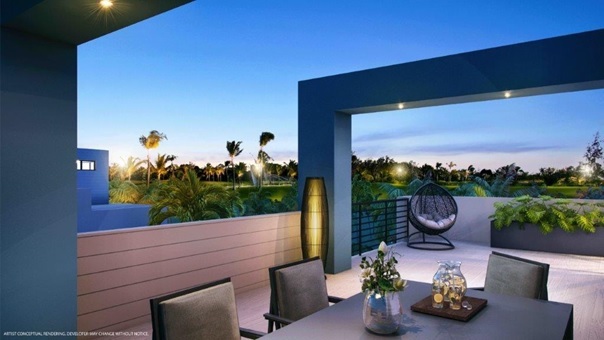 ft. Plus, every home comes with a private patio or terrace. 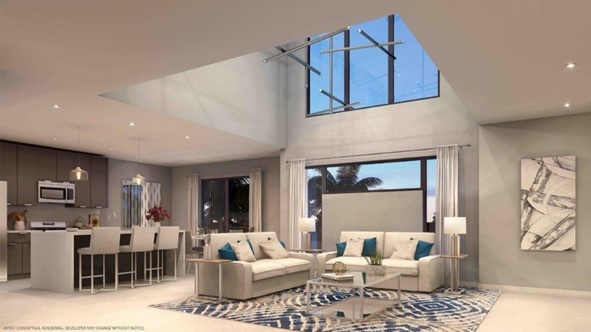 he villas are expansive and bright with open-concept floor plans and large glass sliders. 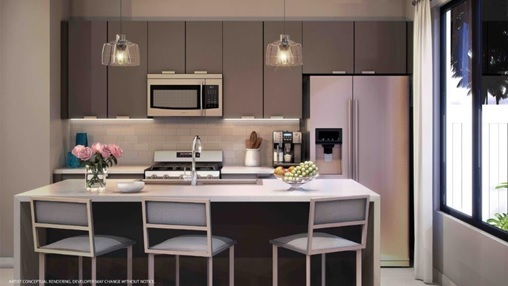 Kitchens come with high-end appliances including a gas range. 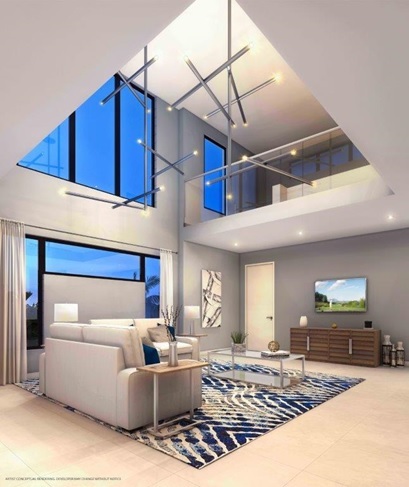 Villas on the 2nd floor feature double-height ceilings. 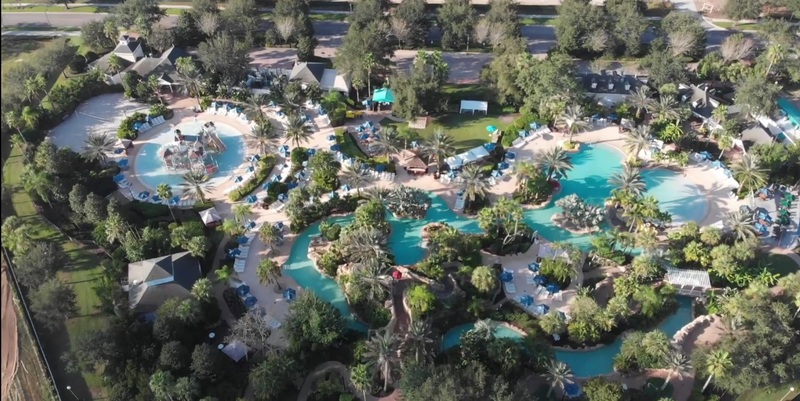 Spectrum+ is located just 15 minutes from Disney’s theme parks, including the Magic Kingdom, Epcot, Walt Disney World, Disney Springs, Animal Kingdom and Hollywood Studios. It’s a 30-minute trip to SeaWorld, Universal Orlando Studios and a host of other theme parks and attractions as well as Orlando International Airport. Near the resort you’ll find plenty of shopping, restaurants, an IMAX theatre and entertainment sites like Medieval Times. 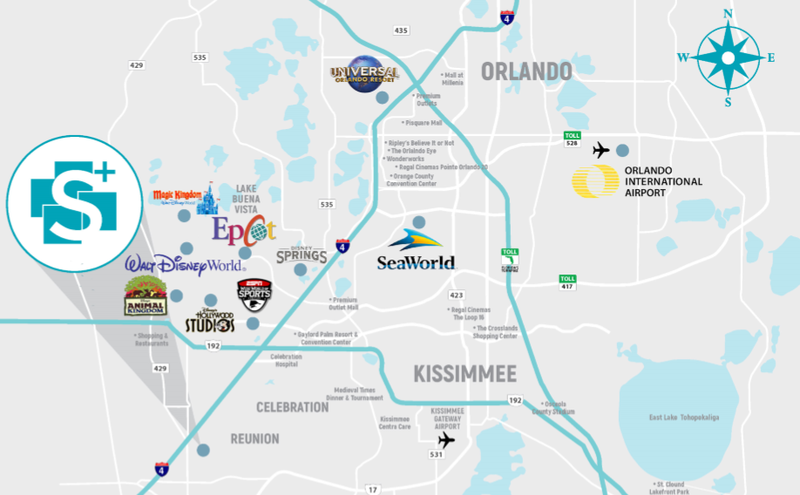 Spectrum+ is located near all of Orlando’s amazing theme parks and attractions. There’s an endless array of things to do, which is why Orlando, with 72 million visitors annually, is the most visited city in the United States, making it a great place to own a rental property. 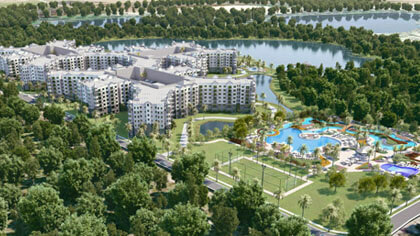 Reunion Resort with its numerous amenities is completely built. Construction on Spectrum+, the new addition, began in December 2018. The estimated time to complete the project is 2.5 years, or approximately mid-2021. Construction has already begun on the Spectrum+ villas. Spectrum+ offers villas with three, four and five bedrooms. They range in price from $364,900 to $519,000. Request the Spectrum+ data sheet here. When our twin girls were little, Jackie and I enjoyed taking them to Disney World, Universal Studios and SeaWorld, all in Orlando. It’s just a little over a three-hour drive north of our home. Now that both girls attend the University of Central Florida, Jackie and I find ourselves visiting them in Orlando every few months. We jump on any excuse to see them and to take in an attraction or two while we’re there. In fact, Jackie has begun referring to Orlando as “our happy place,” which is something I can’t dispute. 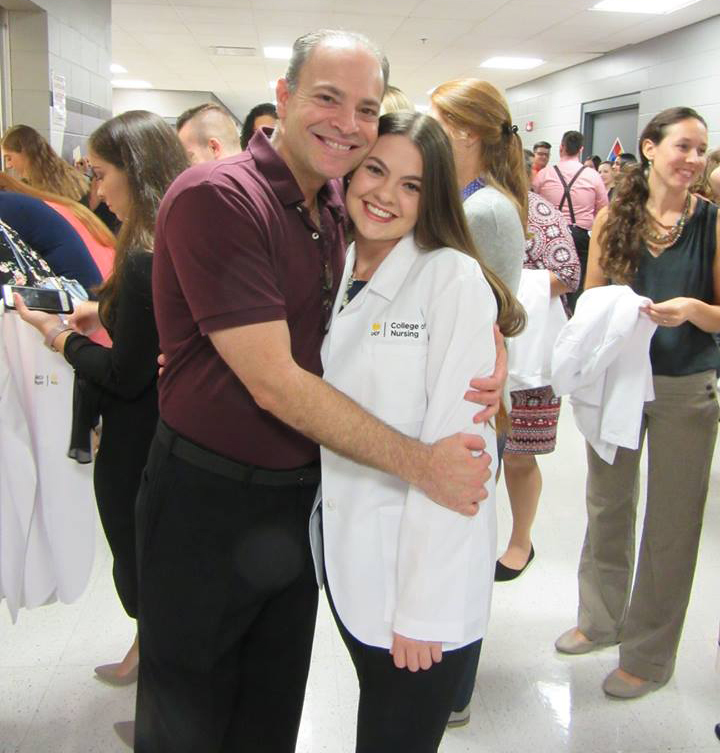 Most recently, we were in Orlando for Lindsay’s white coat ceremony. If you’ve never heard of this type of ceremony, you’re not alone. I hadn’t heard of it either until Lindsay decided she wanted to study nursing. 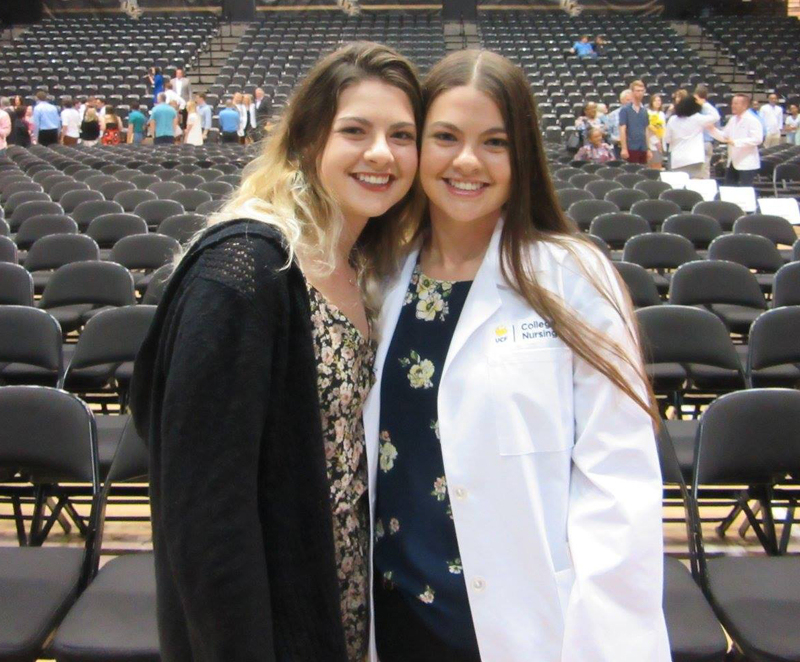 After successfully completing two years of classes, nursing students begin gaining clinical expertise by working in local hospitals. They’re presented with their white coat in an official ceremony. And it’s hard to tell who is most proud – the teachers, the students or their parents. We had a great time at the event and in Orlando, as we always do. If you think Orlando could possibly be “your happy place” too, then request my data sheet on Spectrum+ and get in on this development early while you can have your pick of available inventory at introductory prices. Consider this a warning though. Once my girls graduate from college, I’ll be looking for other excuses to come visit Orlando. Buy a place at Spectrum+ and you could become my new best friend.